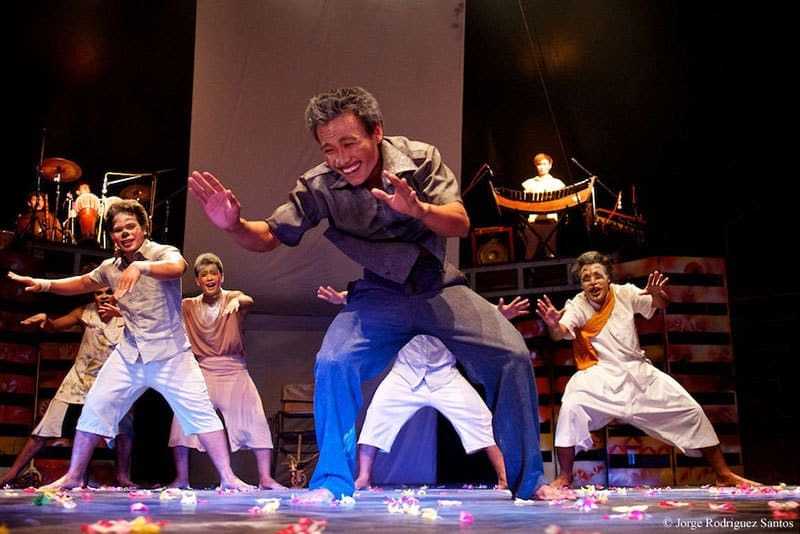 In a lively and slightly weird family, the father is suffering, traumatized by the war. 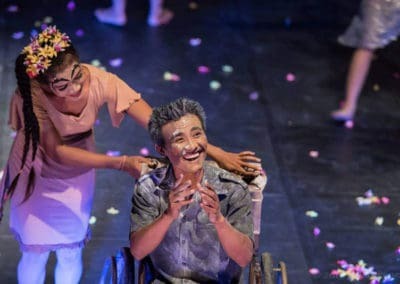 With him, the whole family is vulnerable. 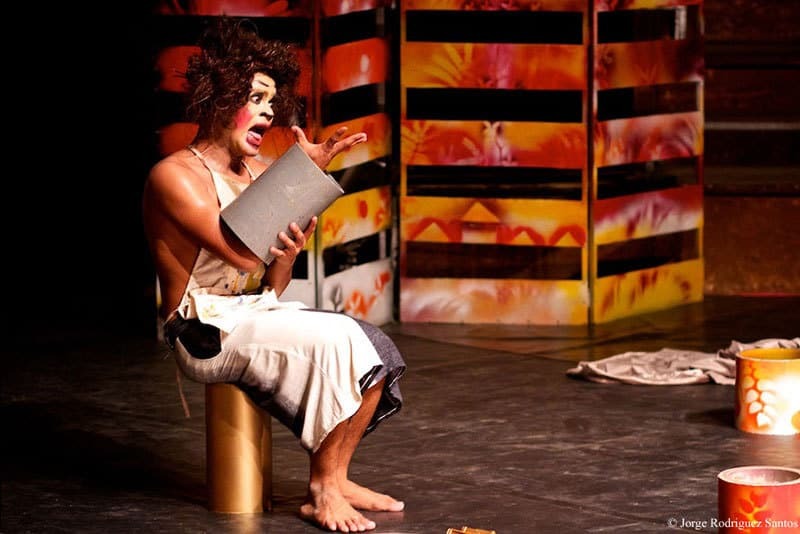 The sudden arrival of a medium will change their lives. 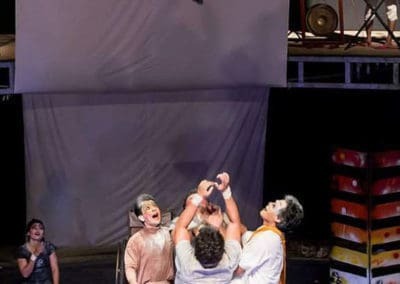 In an attempt to soothe the father, the medium orders the building of a giant house and takes them on a trip to the moon. 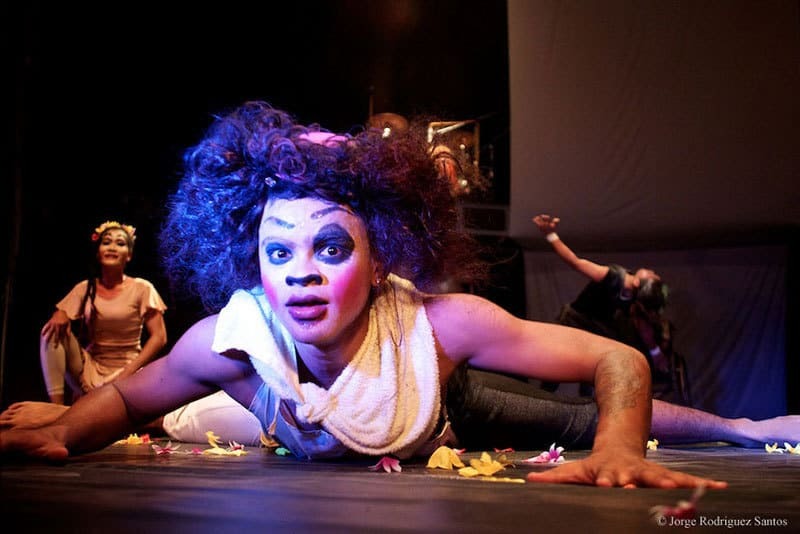 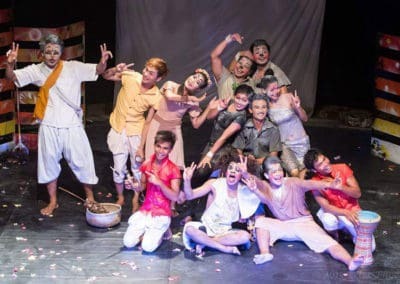 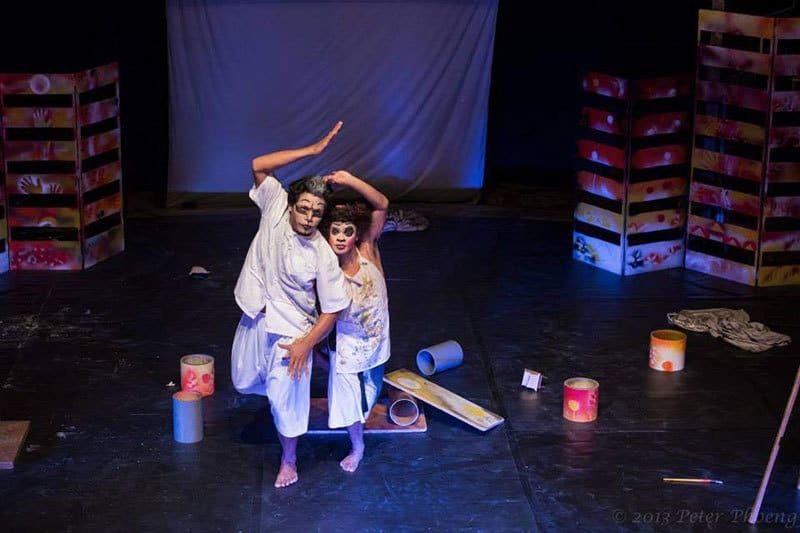 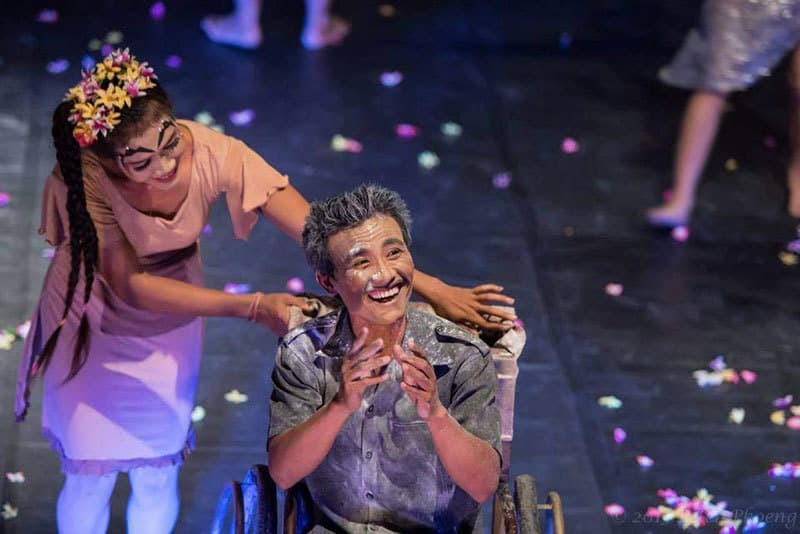 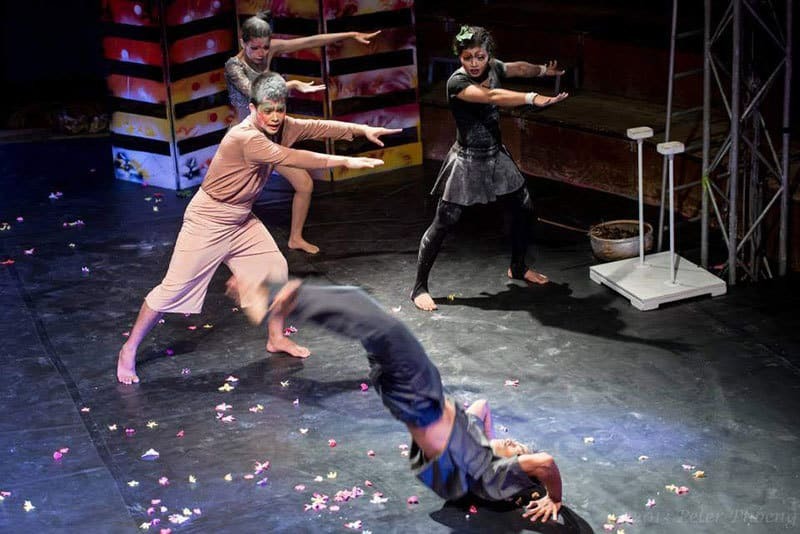 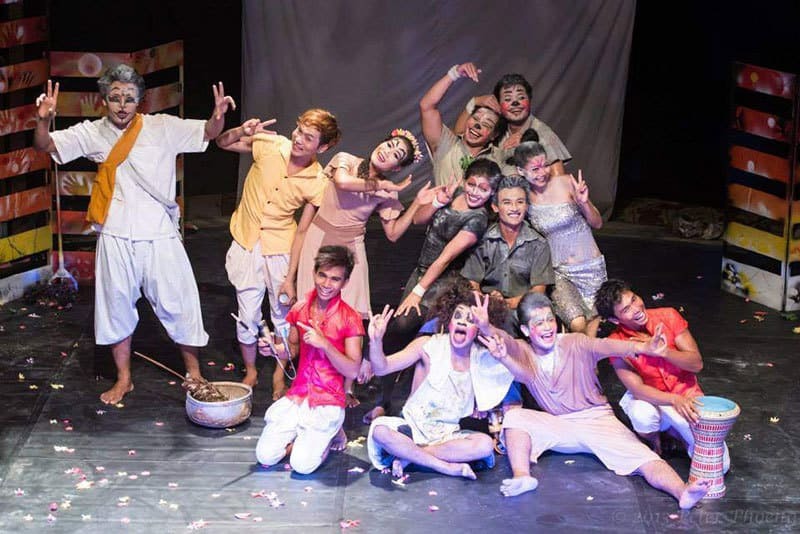 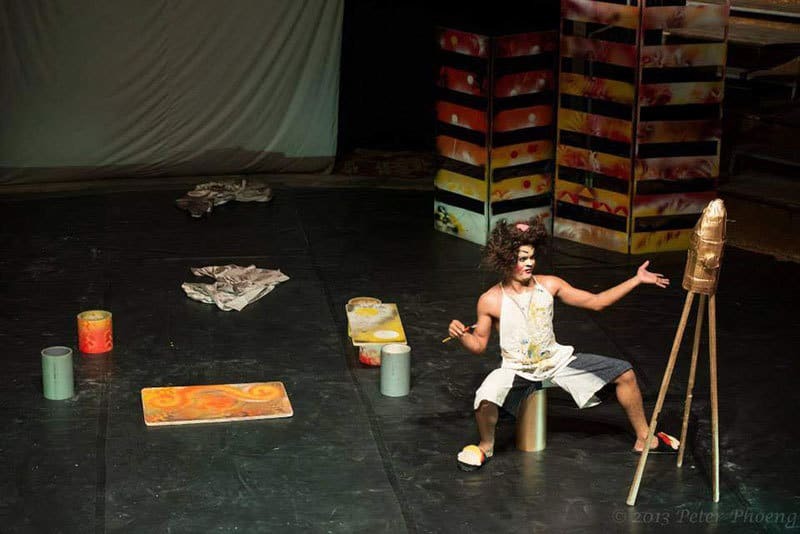 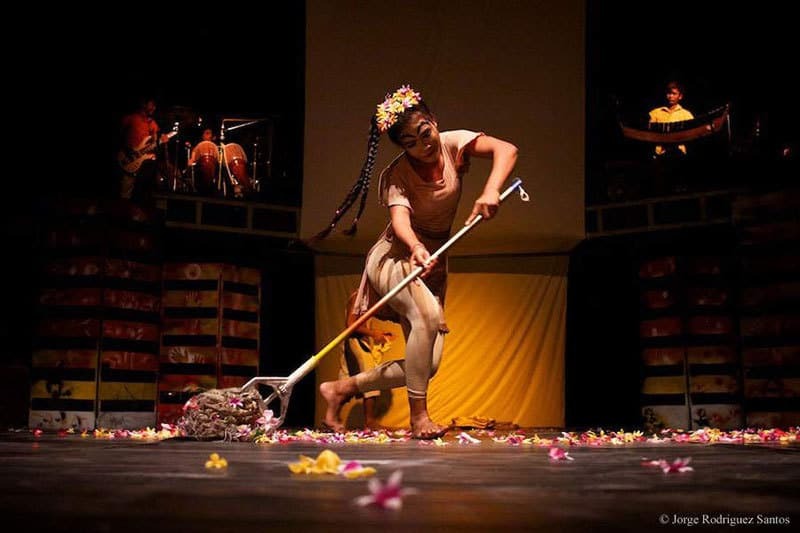 Tchamlaek, which means “weird” in Khmer, is a poetic show which humorously conveys the strange adventures of a family in the pursuit of happiness. 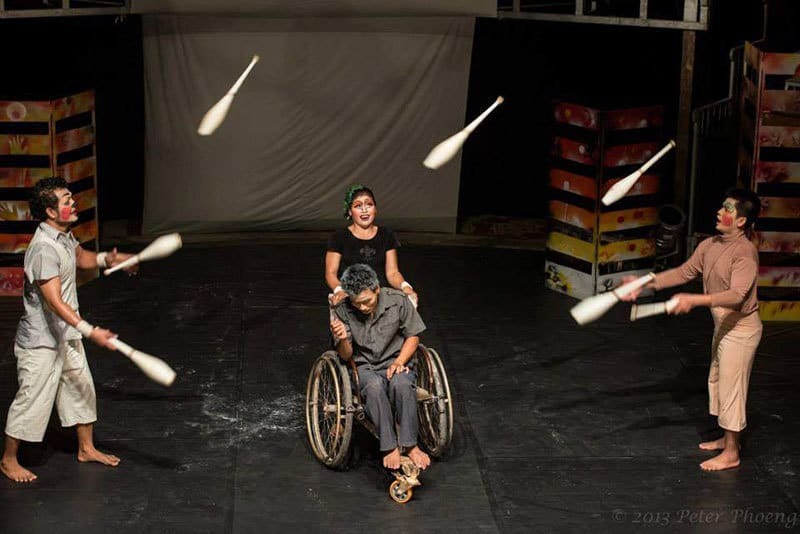 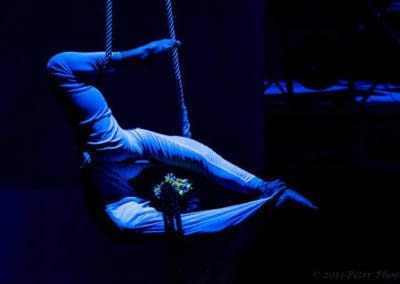 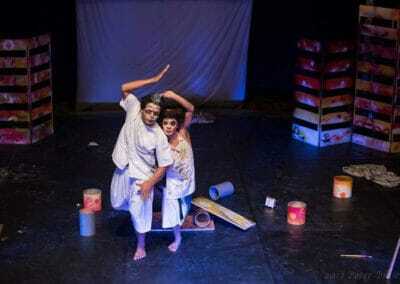 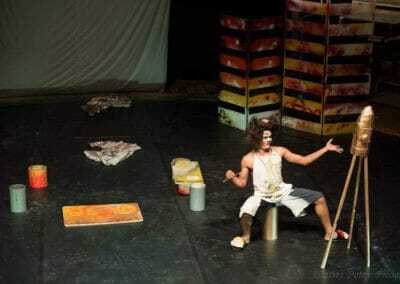 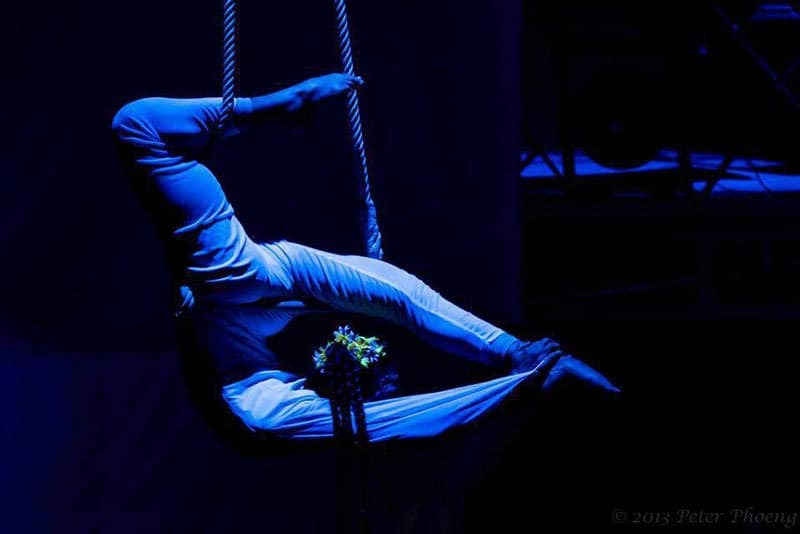 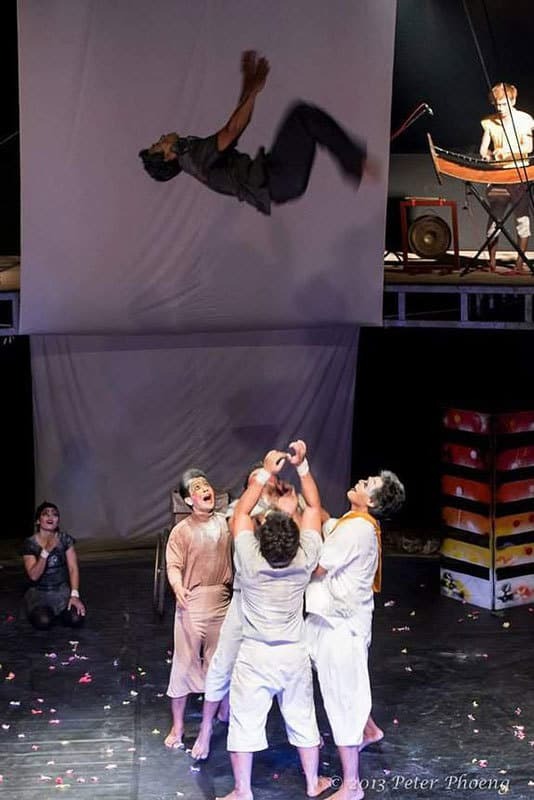 Tchamlaek, is a Circus – Theatre show displaying high level juggling, trapeze, contortion and acrobatics.